The Joseon-era garden of Myeongokheon in Damyang, South Jeolla Province, shows simple and natural designs. A Northeast Asian garden expert opined that while traditional Oriental gardens are based on Taoism, countries have put their respective interpretation to create different styles. “Koreans in the Joseon Kingdom wanted to bring Taoism to their homes but worked in a Confucian environment,” said Park Kyung-ja, 61, president of the Institute of Traditional Landscape Conservation. “So Korean gardens are simple and natural, while Chinese ones are larger, flashy and artificial,” she added. “Japanese gardens tend to depict nature in an abstract manner,” Park noted. Since 2003, Park has been a frequent visitor to China, publishing four books on the Korean urban landscape, residential designs and water landscapes there. Her recently published book, “Chinese and Korean Classical Gardens” is her fifth work. 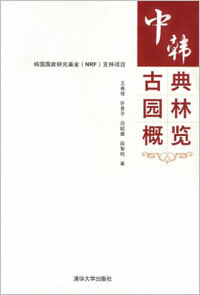 The over-500-page book, published by Tsinghua University Press, is the result of two years of research with nine scholars from Korea, China and Japan, followed by three additional years of preparing the work. “A Chinese publisher was interested in Korean modern garden designs, especially how we incorporated western designs into Korean ones,” Park said. “But, Korea and China still are in their infant stages,” she added. She listed three representative gardens in the three countries ― the woodland Joseon-era Garden of Myeongokheon in Damyang, South Jeolla Province for Korea; the Classical Gardens of Suzhou in China; and the Royanji Garden in Kyoto, Japan. Park stresses the importance of bringing Korean classic gardens into the context of modern botanical culture. She is also in talks with the Gyeongju provincial government to recreate a traditional banquet that took place in “Poseokjeong” the site of an oval-shaped waterway in Gyeongju, North Gyeongsang Province in 2014. The King’s officials and guests ― from as early as the Unified Silla Kingdom (668-935) ― sat along the watercourse and played a poetry-reciting-and-drinking game. They had to recite poetry as a floating wine cup on the winding waterway came near them. If they couldn’t, then they had to drink the wine. Park said that visitors to the historic site often complain because it only has the dried-out stone canal base, and no event replicating the ancient banquet. She hopes to change this. “There were some similar local re-enactments, but they didn’t happen at the historic site nor were they it based on historic facts,” she said. She also expressed regret over traditional gardens being made over with modern botanical designs. “We have these stellar gardens such as Anapji, a palace pond built in the Silla period, yet we haven’t really worked hard to reinterpret the tradition in a modern style,” Park said. According to her, recent urban landscapes such as the Cheonggye Stream in downtown Seoul are eyesores. “Too many bridges over the stream and steep stone walls along the waterway leave an impression that it has been constructed hastily,” she said. Park holds a doctorate in comparative studies on palace ponds in Korea, China and Japan from Seoul National University. 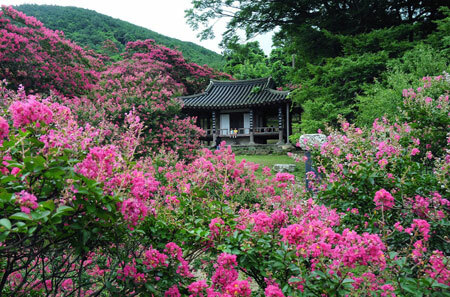 She has devoted herself for almost 40 years to study and preserve Korean traditional gardens and landscapes. Her book “Landscape Design of South Korean Residential Communities” won the gold prize at the Asia Pacific Publishing Association Book Awards in 2006. 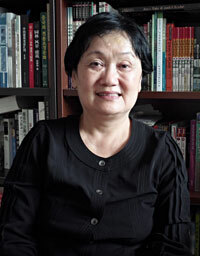 Currently she heads the Institute of Traditional Landscape Conservation, under the Cultural Heritage Administration.